According to a recent bulletin from The Columbia Basin Fish & Wildlife News, quagga and zebra mussels that have taken over many of the waterways in central and eastern areas of the United States and Canada, especially in the Great Lakes, aren’t the only aquatic invasive species that have biologists worried. Invasive plankton or copepods have been taking over Northwest waters for over two decades. Stephen Bollens of Washington State University's School of the Environment, says the good news about zebra and quagga mussels is that out of 300 samples from boats in the Northwest processed in 2014 and 2015 using a FlowCam, there had been no detections of the invasive species. Most materials are made up of many different particle types of varying shapes and sizes. 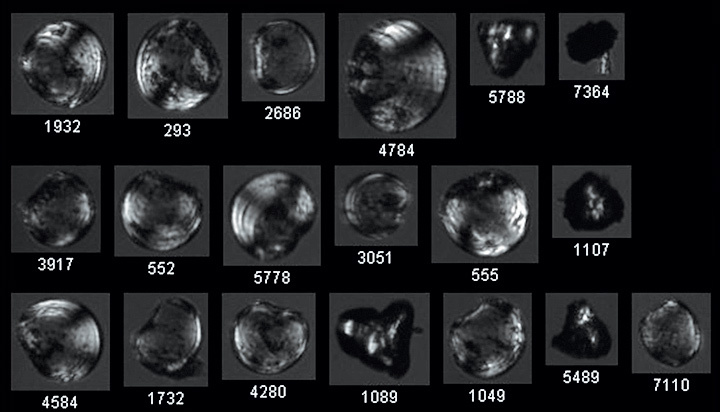 When characterizing these particles, your goal is to figure out how much there is of each type. A simple particle size distribution, which is typically done using laser diffraction or light obscuration, only gives you size information. This may be adequate when you have a uniform mixture, but what if you have particles of similar size that are different shapes? 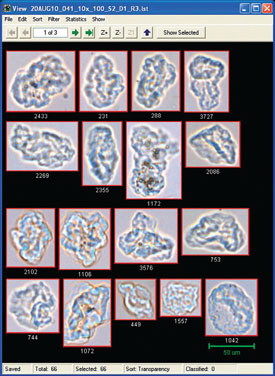 If that’s the case, then you should use a method that can analyze particle shape. 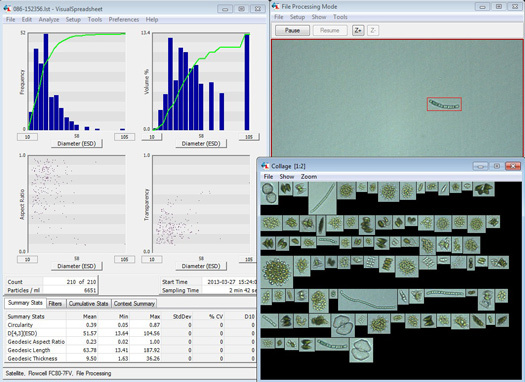 It’s no surprise that there are many technologies available for particle analysis. 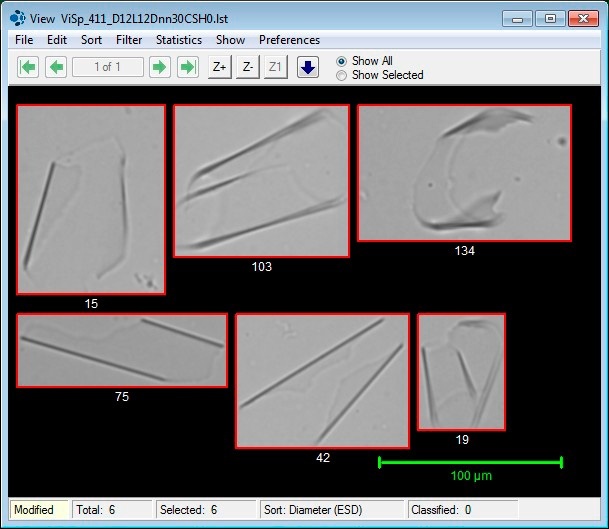 Particle sizing and characterization are critical components of many processes across a wide range of applications. On a recent visit to the Coastal School for Girls in Freeport, Maine for a classroom demonstration of the FlowCam, we captuted this video. This feisty little copepod is roughly 500µm in size. 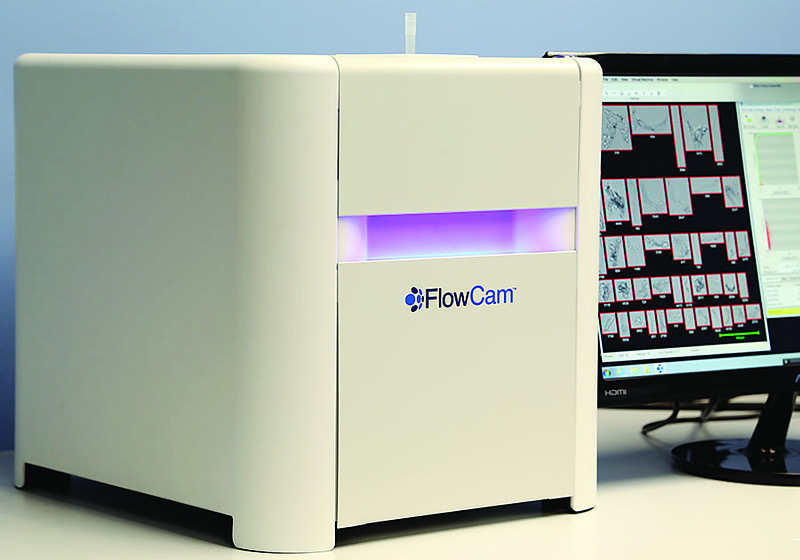 The FlowCam was operating in video mode at the time. 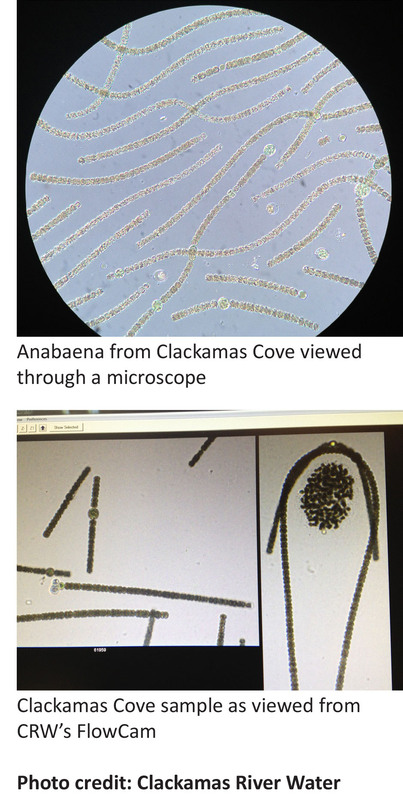 The Oregon Health Authority recently issued a health advisory after finding high levels of blue-green algae -- in this case, anabaena -- in the Clackamas Cove portion of the Clackamas River. Thankfully, the algae bloom is about four miles past the Clackamas River Water (CRW) drinking water intakes and did not affect the drinking water. When algae populations explode they can create harmful algae blooms (HABs). HABs are mostly fueled by excess nutrients in area waterways from various places like agriculture, sewage treatment plants, and runoff from lawns and paved surfaces. Lew Brown has added to his ongoing work on thresholding in particle imaging. He recently published a poster at the 2015 Colorado Protein Stability Conference entitled, “Glass Shard Detection in Protein Therapeutics Using Dynamic Imaging Particle Analysis". 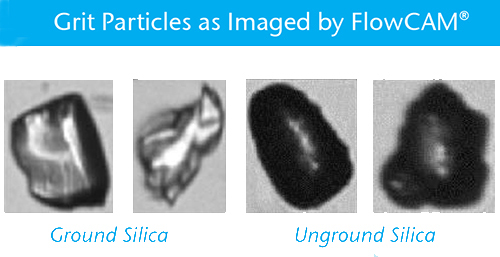 Dynamic Imaging Particle Analysis (DIPA) technology is being increasingly used for characterization of other transparent intrinsic particles in biologics such as protein aggregates. Lew's poster details an investigation of using DIPA technology in order to detect glass shards in a protein therapeutic, along with the protein aggregates.